I think it’s really the nature of woman to want to be pretty. It start from a very young age, as young as 1 year old! 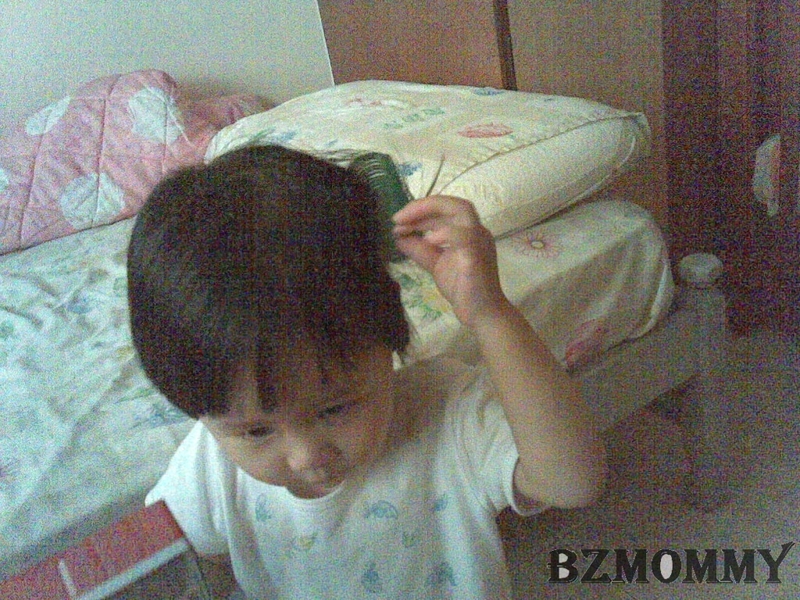 Sometime back, Dawn had been seeing my mom using the curlers to curl her hair. And Dawn, who might have thought that it’s a pretty thing to do, she followed what my mom did too! 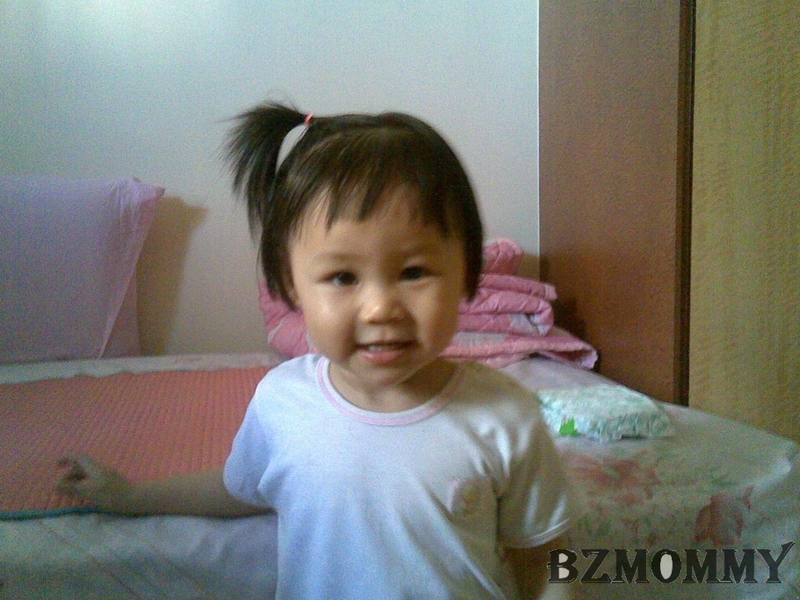 And a few days back, I tied her hair successfully for the first time. Usually she will take off the clips or the rubber bands as soon as I put on her hair. I managed to tie a little ponytail at the side and I realised that its quite difficult to tie her hair properly because her hair is so soft and thin. Anyway, she posed when I wanted to take a photo of her! How sweet! She’s very cute. It’s funny how young they like to look pretty. I guess it’s a girl thing. My little girl always beams and prances around (right before pulling the bow out of her hair).